Back in March, I wrote about how we finally cancelled our cable. We marched into our cable company’s office, cable boxes in hand, and told them to cancel our cable TV service. What I didn’t detail was the years long process we went through before we got to this point. 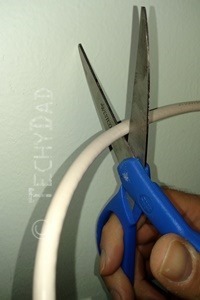 If you are wondering whether cutting cable is right for you, following my steps will help you figure it out. Step 1: What Shows Are Must Watch? First, make a list of the shows that you watch. (I used a spreadsheet because, later on, you need to total costs.) This list can tend to be looking as we often fill our time with TV shows that we don’t really care about. So filter this list by asking yourself the question: If I missed an episode of this show, would it matter to me? If it would, then add it to the list. If you wouldn’t often care if you missed it, leave the show off of the list. Where Are The Shows Available? Now that you have your list of shows, you can figure out how you’re going to watch them sans cable. If you don’t care whether you keep up to date on the shows’ latest season, Netflix or Amazon Prime will often have previous seasons’ episodes available. Your local library might also have DVDs of shows that you can borrow. If you must stay up to date, Hulu can often have episodes posted the day after they air. Sling TV will also give you access to many channels. You might also be able to purchase an antenna to receive channels Over The Air (OTA). If neither of these suit your needs, you can always purchase your shows on an episode by episode or season by season basis from Amazon Instant Video, Google Play, or Apple’s iTunes. How Will You Watch The Shows? Without a cable box hooked to your TV, you’ll need another way to view programs. Depending on the methods your decide upon to get your shows (Netflix, Amazon, antenna), you might use a Smart TV or Blu-Ray player that you already own. Otherwise, you might purchase a Roku box, a Chromecast, or an Amazon FireTV. Once you’ve figured out what shows you will be watching and how you’ll be watching them, it’s time to add up the recurring costs. Factor in subscription fees for services such as Netflix or Hulu and episode/season purchases (either from online sources like Amazon VOD or disc-based sources like DVD purchases). Next, total up one-time costs like buying a Roku. Once you have your "Cord Cutting Costs" totaled up, it’s time to call your cable company. Ask them how much it would cost to switch to their Internet-only plan. This should tell you how much you would save by cancelling cable and getting your video entertainment from other sources. Of course, you might find that you wouldn’t save by cancelling cable. Perhaps you watch too many shows and purchasing them all would raise your "cord cutting" rate above cable TV. Or maybe you like watching live sports and can’t find an acceptable online source. Then there’s the possibility that your cable company is actively working against you cutting the cord. Unfortunately, some cable companies use their monopoly (or duopoly) wired, broadband Internet access to prop up their non-monopoly TV business. They’re doing this by, among other things, making Internet-only plans more expensive than Internet+Cable TV plans. This keeps people on cable TV (since it’s cheaper) and reduces the official numbers of cord cutters. Even if you put the cable box in the closet and never hook it up, you’ll be counted as a cable TV subscriber. 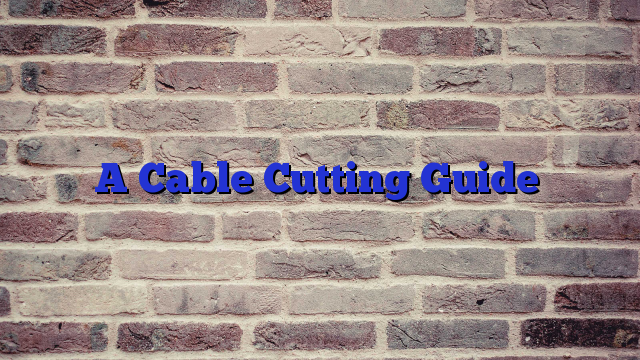 Even if your "cable cutting" cost is more than the cost of staying with cable TV, this exercise might still be worthwhile. It might reveal shows that you really don’t care enough about to keep watching. In addition, cable rates seem to rise every year. Combine that with the fact that the online options increase every year and what isn’t cost effective you this year might wind up being worthwhile in a year or two. Have you considered cancelling cable? If you did and didn’t go through with it, why not? If you did and cut cable, have you missed cable at all?